A checkout counter at the H-E-B on Austin Highway shows tobacco purchases can only be made by those over 21-years-old. As of Monday, people under 21 years old can no longer buy tobacco products in San Antonio. That includes cigarettes, cigars, hookah, chewing tobacco, and electronic smoking products. San Antonio is the first city in Texas to implement it. Tobacco 21 is a nationwide initiative and has been implemented in six states, including California, Oregon, Maine and Hawaii — as well as in more than 340 cities and counties. At a kickoff at San Antonio College, San Antonio Metro Health Director Dr. Colleen Bridger says raising the age will result in fewer people picking up smoking. “We know that 95 percent of smokers start smoking before the age of 21, and we know that when you start smoking before the age of 21 and your brain is still developing, you’re much more likely to become addicted to those tobacco products,” she said. Another goal is to ensure 18- and 19-year-olds can't buy tobacco and share them with minors. “It makes it harder for those teens to have that pipeline of tobacco products or e-cigarettes with someone who is maybe one or two years older than them,” said assistant Metro Health Director Mario Martinez. Metro Health Director Dr. Colleen Bridger speaks at a press conference on the first day of Tobacco 21's rollout. The ordinance only applies to the sale of tobacco. People under 21 in possession of tobacco will not be fined or cited. Tobacco 21 applies only to businesses within San Antonio city limits and doesn’t apply to unincorporated Bexar County or smaller suburban cities like Alamo Heights and Leon Valley. Bridger says Metro Health is trying close those gaps. “We’ve had several municipalities reach out to us, and we’re working with them,” she said. It’s that jurisdictional gap that bothers convenience store owner Anwar Tahir, president of the San Antonio-based Association of Convenience Store Retailers. Tahir is in favor of Tobacco 21, but not in a piecemeal fashion. For example, just one block separates cities like Windcrest from San Antonio, which means two stores can be directly across the street from one another — in separate jurisdictions. Tahir said, those younger than 21 are just going to make all their convenience store purchases where they can also buy tobacco products. “He’s not just going to just buy a cigar there and come back to my store and get gas or other stuff,” he said. Until then, Tahir says he and other retailers associations may consider legal action against the city. “We are exploring the option. Our attorney will guide us what to do and what is the next step. I cannot say we’re going to file,” he said. Last year, a bill was introduced in the Texas House to raise the legal age to purchase tobacco to 21. It passed the public health committee but was never brought to the floor. Jennifer Cofer, director of the End Tobacco Program at the MD Anderson Cancer Center, said there will be another push in the 2019 session. “If the Texas Legislature were to consider a policy of this magnitude, it would change the landscape of tobacco use in Texas, reducing access to teens, therefore prolonging deaths and cancer-related deaths and a lifelong addiction of tobacco and nicotine,” she said. Although Tobacco 21 is now active in San Antonio, businesses will have a three-month grace period to adjust to its new rules. After Jan. 1, they could be fined up to $500 for selling tobacco products to people under 21. Earlier this year, City Council approved the ordinance which raises the age of buying tobacco products from 18 to 21 years old. The "Tobacco 21" initiative is set to take effect on October 1, making San Antonio the first city in Texas to enact such an ordinance. 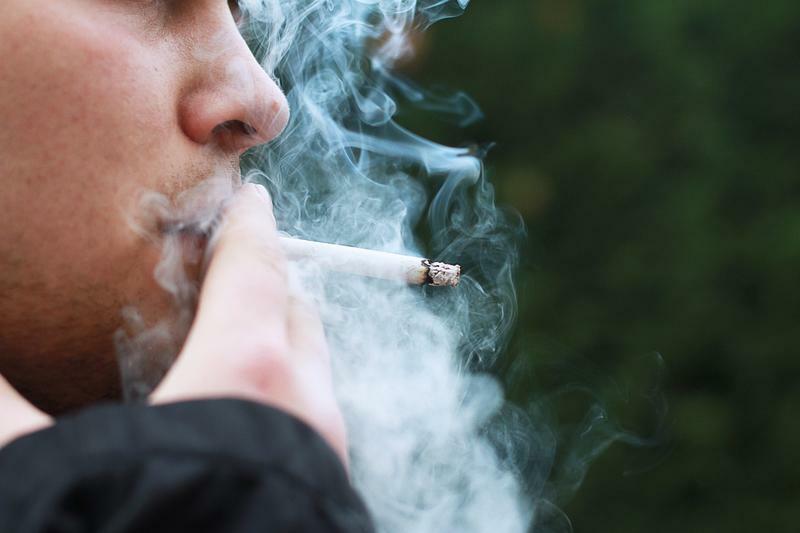 The San Antonio City Council will vote Thursday on whether or not to raise the minimum age to purchase tobacco products from 18 to 21 years old.